I was at least able to complete one Farmer's Wife block this week. It was Block 11 - Broken dishes. I think I've come to the conclusion that I can't cut blocks that have the 3/8th or 7/8th measurements. I'm not accurate in those eighths cuts. 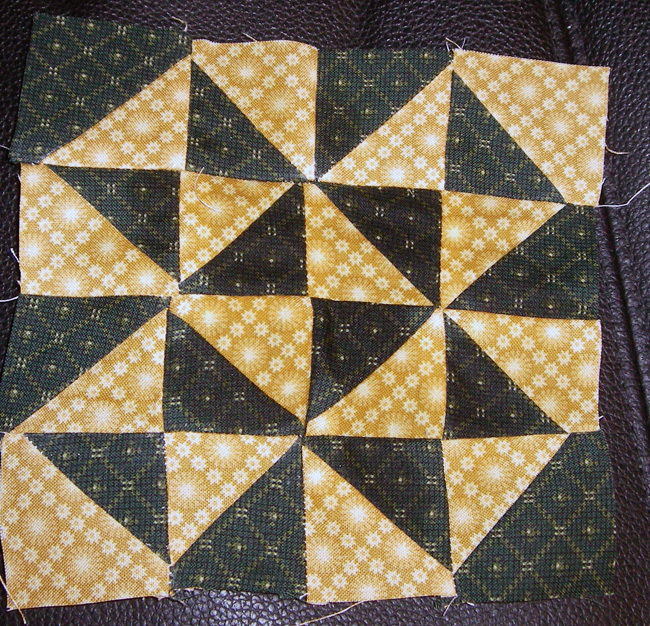 I must have cut some blocks wrong because this block came out so wonky. Time to cut it down. I am going to have the most modified Farmer's wife around, I'm sure. Hope you all have a great Friday!! I also have trouble with the measurements that include the eighths! 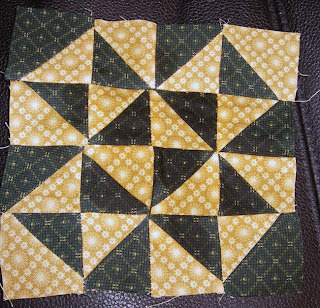 My quilt teacher suggested to round up and the cut down when making 1/2 square triangles. Looks good though :) I love following your work.